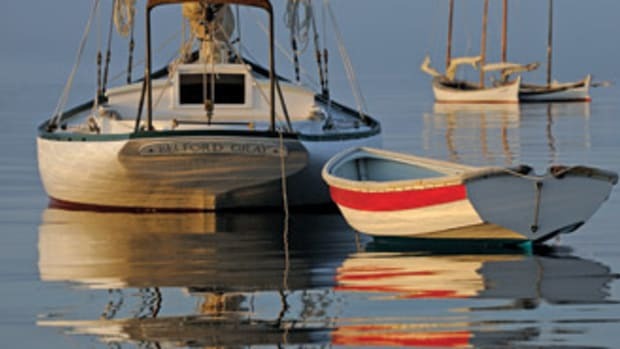 The keys to surviving, and even thriving, in a tight market are to keep costs down and offer something new. Woodturning might just be the answer. Turned accents and stand-alone art pieces can transform a casework job into an architectural statement. And outsourcing this work means that the shop doesn’t have to invest in machinery, tools, training or production time. 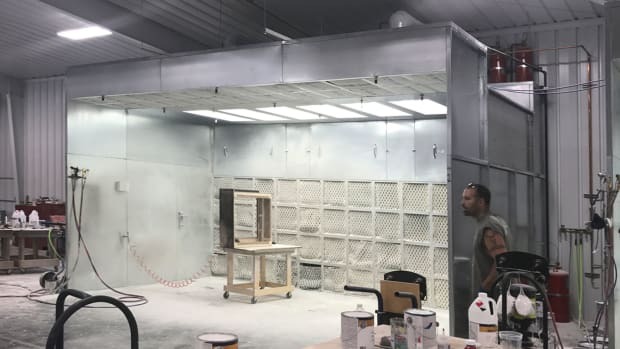 And the quality of the work will be in line with that of the millwork or cabinet shop because it’s being done by an experienced professional. 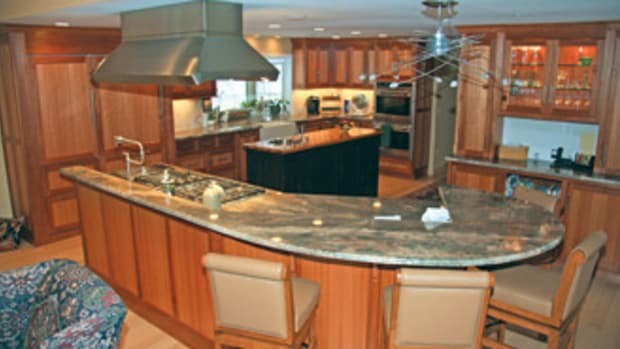 Opportunities to add turned work to a kitchen or commercial job are almost limitless. 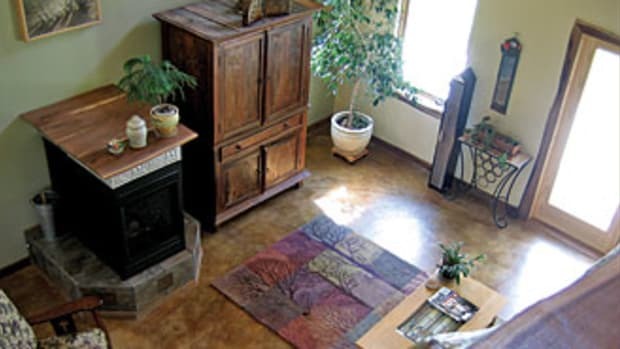 Columns and spindles are obvious choices, but a subtler accent might be a turned bowl, vase or urn placed in a lighted niche, or perhaps a split turning applied as casing around an entry door. Where does one look for those design ideas? And how does a shop find a competent artist? 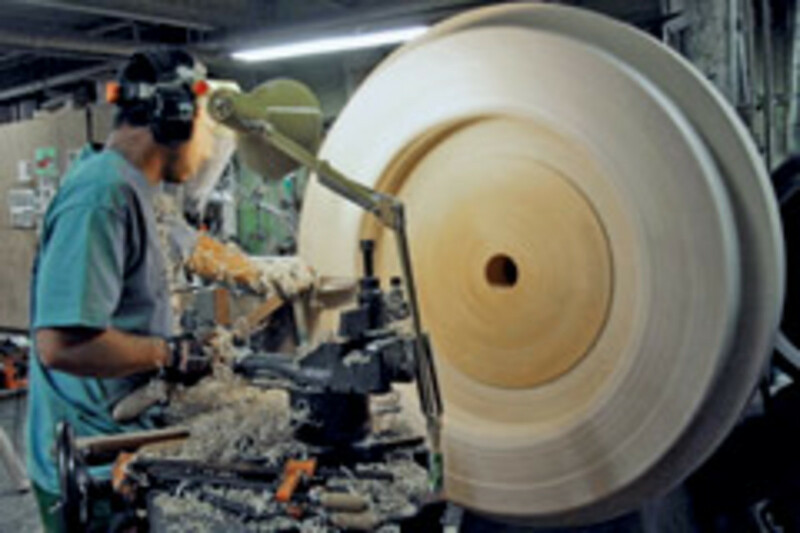 The American Association of Woodturners is a Minnesota-based organization with more than 14,000 members worldwide. Most are located in the U.S., and a large number of them are professionals with vast experience in this specialized field. The association has been around for a couple of decades and it offers a number of benefits to its members. 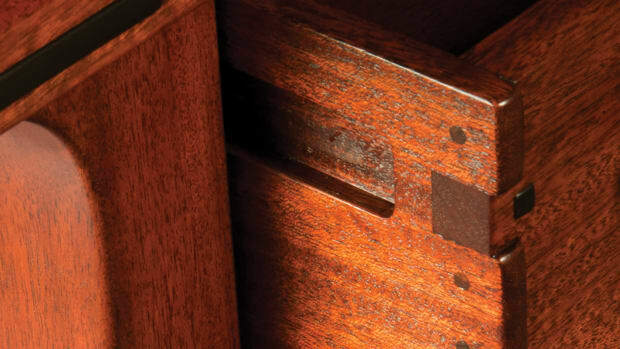 Perhaps the most visible facet of the AAW is its publication, American Woodturner. Issued six times a year, this magazine spotlights the work of numerous turners with beautiful photography, interviews and perspectives. A shop designer working on a bank or hotel lobby, for example, can thumb through page after page of impressive artwork, and glean both ideas and the names of the artists. And all of the past issues of American Woodturner are accessible through the member area on the association’s website (www.woodturner.org). The site’s gallery page provides information on the AAW’s Gallery of Wood Art at the Landmark Center in downtown St. Paul, Minn. Admission to the physical gallery is free. The current exhibition, “Art from the Lathe,” features work from the AAW’s permanent collection in a variety of styles. 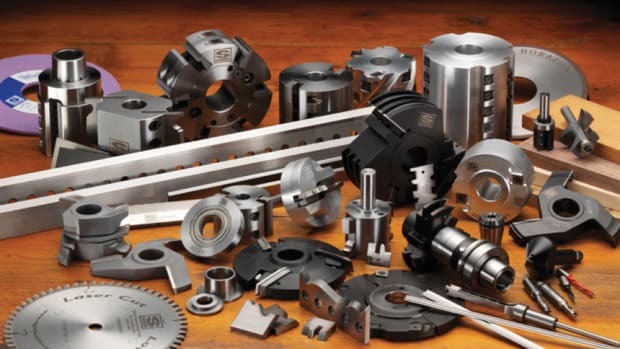 Designed to illustrate the range of artistic expression and techniques used by masters in the field, it includes works that are both “pure” (created entirely on the lathe) and also pieces that have been carved, burned, sandblasted, segmented and reconstructed. Beyond publications and exhibits, the AAW also offers some cost-cutting benefits, such as group rates for health, life and commercial business insurance; marketing opportunities to artists, collectors, galleries and museums; vendor discounts at many suppliers; and discounts of up to 50 percent on AAW merchandise that includes both project books and how-to DVDs. Of particular interest to project managers and designers are the AAW forum (a discussion resource that can answer a lot of technical questions) and the resource directory that contains a complete listing of contact information for all 14,000 members. The directory also contains information on the more than 300 local chapters as well as turning technique demonstrators and other woodturning resources. 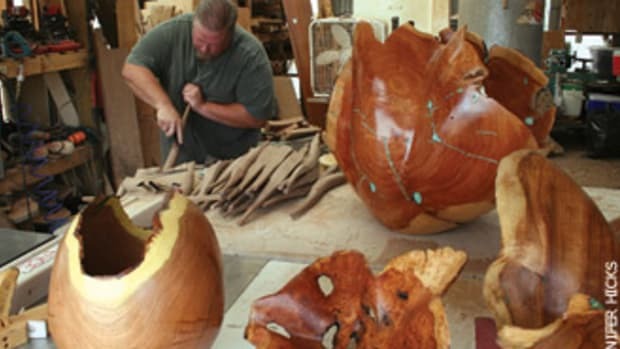 Every summer, the AAW hosts a national symposium and this has become the most attended woodturning event in the world. The next one will be held June 8-10, 2012, at the McEnery Convention Center in San Jose, Calif. A woodshop owner with an interest in adding turned work should attend. The halls are filled with thousands of turners and there are constant demonstrations by leaders in the field. It’s an opportunity to network, learn and see what’s possible. The association’s professional outreach program is a great resource for architects and designers looking to add turned art to a commercial project. The program’s primary function is to promote turned wood as a collectable art form. And when the job site is ready, the AAW’s online marketplace offers completed work for sale, which allows an architect or designer to purchase an existing piece without having to wait for custom work to be completed. The AAW also sponsors exhibits and lectures at the annual international expositions of Sculpture Objects & Functional Art in Chicago, New York and Santa Fe, N.M.
A general business membership in the AAW is $74 per year. For information, visit www.woodturner.org or call 651-484-9094. Several noted shops around the country cater specifically to architects, kitchen designers and millwork shops that have a need for work in the round. Among them is Pagliacco Turning and Milling in Woodacre, Calif. Pronounced “poly-ahko”, this shop offers columns and capitals, balusters, solid porch posts, newels, straight and curved railings, classic and custom brackets, spandrels and table legs. It’s an employee-owned company, and most of their work is custom. They will work from a designer’s specifications or they can create drawings from photos or sketches. The company specializes in historic restoration and can create accurate replacement components based on samples or photographs. They also mass-produce turned components such as balusters, which can help control the cost of a larger custom job. Visit www.pagliacco.com for details. On the opposite coast, AAW member Mark Supik in Baltimore says his crew can handle railings, rosettes, finials, fluted columns, barley twist spindles, woodturned columns, newel posts, brackets, curved moldings, cornice brackets and historical reproductions. 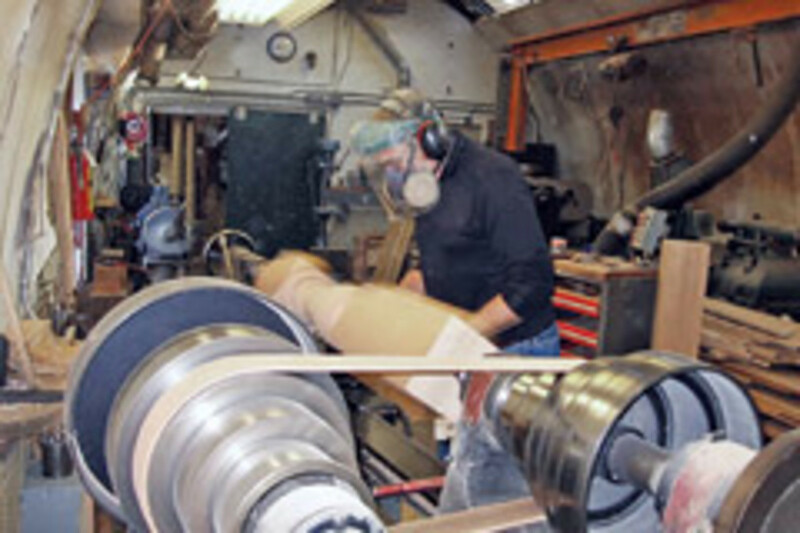 This shop is profiled in the October 2011 issue of American Woodturner. It has been in business since 1981 and Supik is a graduate of the Maryland Institute College of Art’s sculpture program. While it’s fully stocked with the latest equipment, this unusual shop also uses an 1876 Atlantic 36” band saw; a 1936 Crescent 12” jointer; a 1943 Oliver wood lathe that can handle work up to 96” in diameter; and a 1922 American lathe with capacities up to 30” in diameter and 13’ long. Even its delivery truck has some miles on it. It’s a restored 1953 Chevy 1-ton panel truck and there’s a photo at www.marksupikco.com. 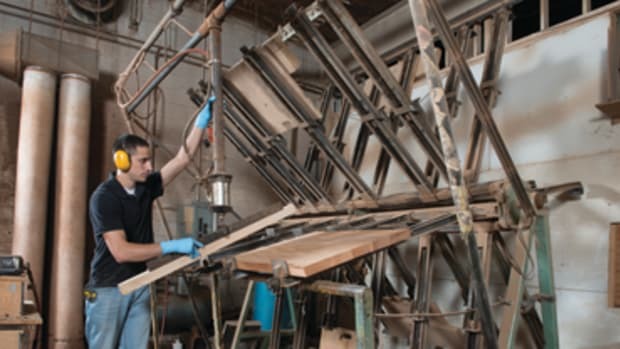 Artist Maik Fayad of MWT Custom Wood Working in Hickory, N.C., has been turning since he was 15 years old. 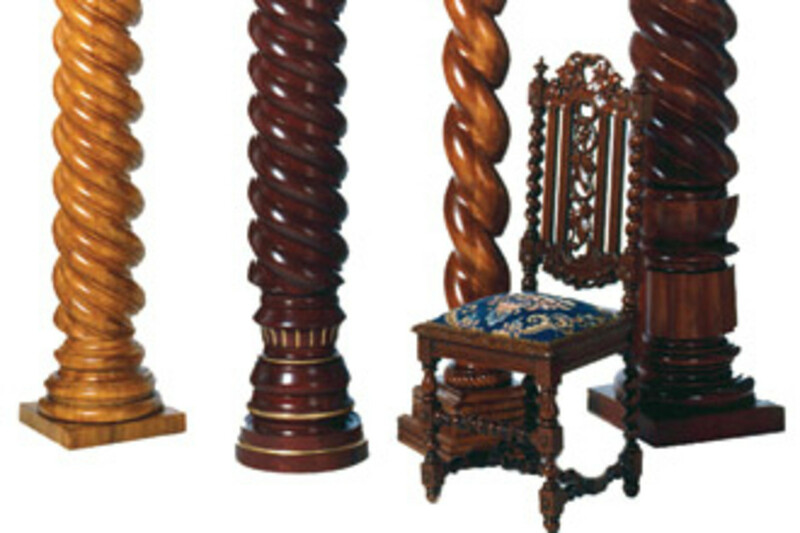 Specializing in spiral turning, Fayad can create solid wood spirals anywhere from 1/4-inch to columns that are more than 14” in diameter. MWT also produces turned and carved finials and a wide variety of balusters and other work in the round, both custom and stock. 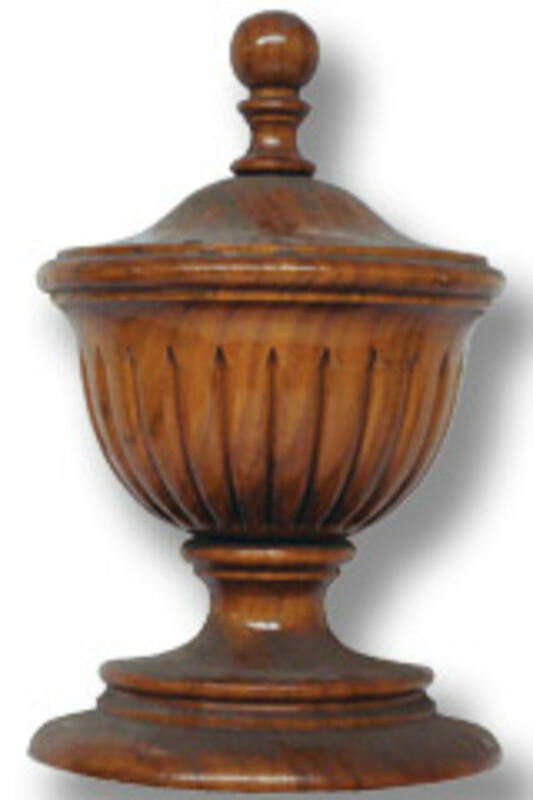 A product catalog can be downloaded at www.mwtwoodturning.com.